' latest sexist and racist comments, I have this wish: that protesters would apply the same heat to certain rappers. Imagine what would happen if the media and the CD-buying public leveled a similar outcry against the Young Jeezys, the R. Kellys and the 50 Cents of the world. They and some other hip-hop stars routinely spew out lyrics so misogynistic that they make what Imus said about the Rutgers women's basketball team seem tame in comparison. I'm not trying to excuse Imus. He got what he had coming for calling those players "nappy-headed hos" during his radio broadcast. It was a racist and sexist thing to do. Not to mention ignorant. Imus should be fired. But what about certain entertainers who make a living using similar language? Should they be allowed to just continue business as usual? 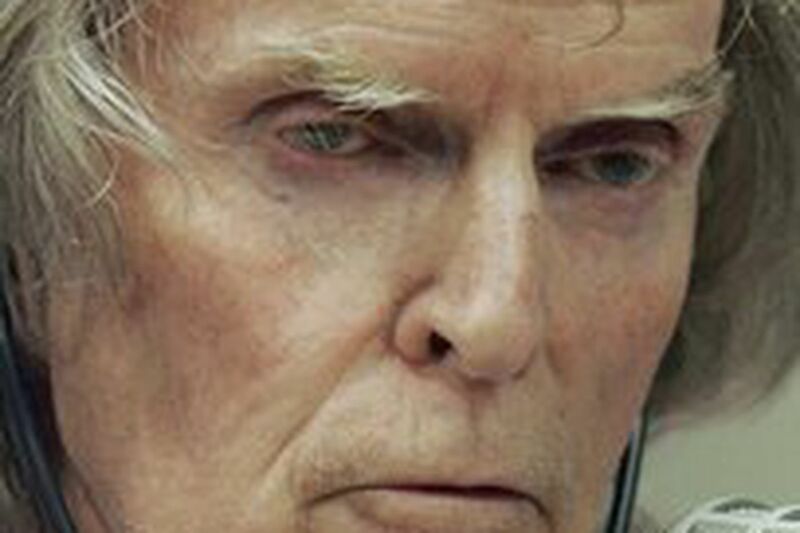 Following Imus' comments, the reaction was loud and widespread. He not only was forced to apologize publicly, but he also faces at least mild punishment. His two-week suspension begins Monday. MSNBC already has dropped him from its lineup. To save what's left of his career, Imus has had to go on a major offensive, even appearing on the Rev. Al Sharpton's radio show. You know that must have eaten him up inside. With big-time companies such as Procter & Gamble and General Motors dropping their sponsorship, Imus will surely think twice before he ever even thinks about calling another woman a "nappy-headed ho." Especially after getting out of that private meeting with the 10 members of the Rutgers team scheduled for Tuesday. I suspect that that'll be a chance for him to learn who the real "ho" is. And it won't be any of the ladies wearing red sweatsuits. Even if this whole episode simmers down and Imus is allowed to keep his radio show, he - and some other on-air personalities - have learned a valuable lesson about what can happen when you pollute the public airwaves. The shock jocks are again on notice. But what about the other perpetrators? Something needs to change, because pop culture has coarsened to the point that women, particularly black women, are being routinely demeaned and portrayed as booty-shaking tramps or worse with nary a ripple of protest. It's gotten to the point that you expect lyrics in rap songs to be littered with references to b-----, hos and n------. It's no surprise that one of the hottest songs of the moment, "I'm a Flirt," by R Kelly and Bow Wow, manages to work in all three. Here's an excerpt, "When it comes to hos I be pimpin like I supposed to/Rollin like I supposed to/Shinin like I supposed to/In the club, f----- wit honeys like I supposed to/I don't understand it when a n---- bring his girlfriend to club . . . "
That's the disgusting state of popular music these days. But when's the last time you heard much about that? The last that I can remember happened a couple of years ago when the women from Spelman College, a historically black institution, launched a boycott of Nelly because of his offensive "Tip Drill" video that shows a credit card being swiped through a woman's bare buttocks. Not too long after that, Essence magazine launched its "Take Back the Music Campaign." But since then, there hasn't been much of a hue and cry. It took Imus' lame attempt at humor to once again get some type of national discourse going about how black women are depicted in the media. I hope this will help sensitize another group of young people - people who've grown accustomed to misogynistic rap lyrics and hypersexualized music videos - to recognize how damaging these words and images of are.